I bought EEG SMT recently and started testing it. I tested the device with single channel with active electrodes and one passive electrode for DRL. I used brainbay software and i used example program for acquiring single channel data. i had put it in ModularEEG P2 mode and acquired the signal at FP2 and F8 positions and holding passive electrode in hand. 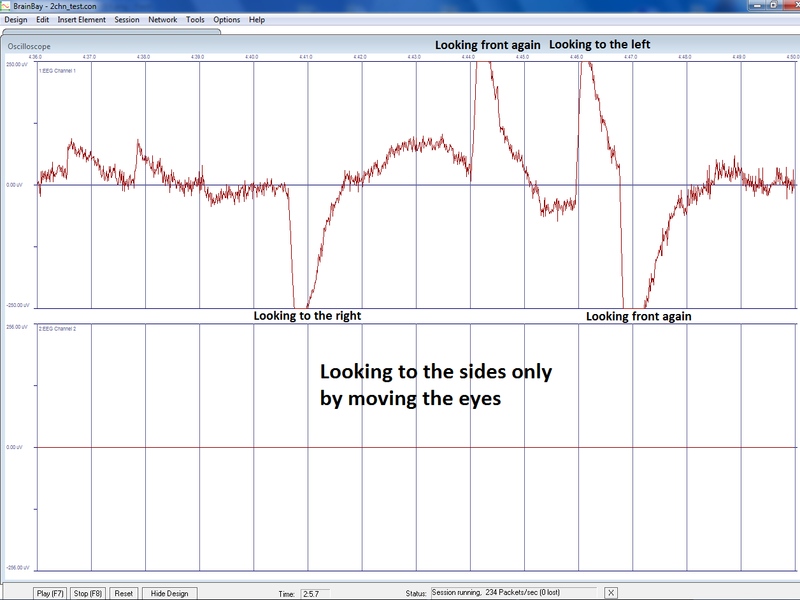 Surprisingly i got ECG wave forms instead of EEG as shown below. 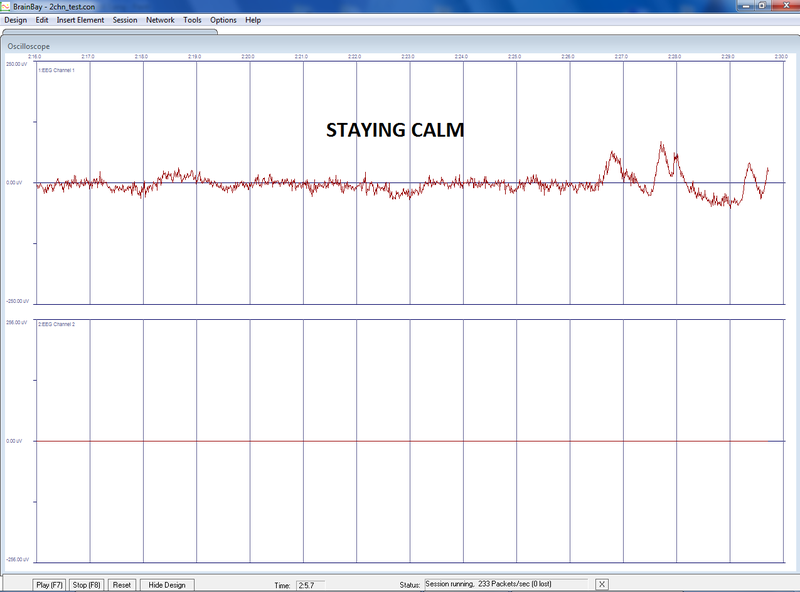 The first one is without filtering and the second one is with band pass filtering between 0.5 to 45Hz. I used Electric Guru software also i got the signal as shown below. Now, my doubt is that how to identify correct EEG signal? What are all the things i need to check whether my signal is correct EEG signal or not? To get a good single channel EEG signal which configuration i need to select in brainbay? Please let me know the exact placement of single channel +ve and -ve electrodes according to below picture. i am still in dilemma at the right placement of electrodes on forehead. If you are having any picture related to it, please upload. Then do as Lub has described -- roll your eyes or blink and you should see something. You might also want to connect the electrodes to channel 2 and just connect them together (short them) -- this is recommended in the user guide/manual. Btw, how strange that you got ECG signals... but also kind of cool. If +ve Fp1 and -ve A1, How about DRL? I have to hold it in hand firmly? Yes, hold the DRL in your hand. Let us know that you are getting the intended results.